We thank our seniors for building a strong foundation for our chapter to continue. We can't wait for all of you to keep representing DG as amazing alumnae! Fun Fridays are sisterhood events our chapter puts on the last Friday of each month. With snack bars, inflatables, crafting and more, Fun Fridays offer great relaxation time with sisters and are an awesome way to wrap up a long week! Past themes include Galentine's Day, St. Patrick's Day and Halloween. 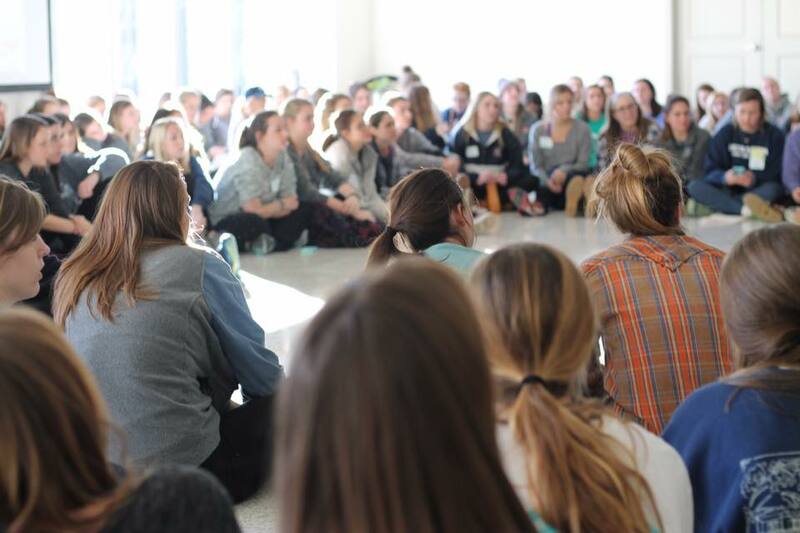 Every year, Gamma Zeta organizes a Sisterhood Retreat for all chapter members to attend. Our 2017 Sisterhood Retreat was at BREC Jefferson Highway Park. Our sisters enjoyed great discussions and activities, a Delta Gamma produced "newspaper fashion show", and great outdoor weather while bonding over Delta Gamma's core values.